It’s the end of the third quarter and I have much to be grateful for. I’ve put 34 homes under contract year to date, which is just under one property per week. On a personal note, my son graduated from high school and is attending his first choice university, the Honor’s College at the University of Utah. 1. I made the Amazon Best Seller List with a new book. The Essential Guide to Buying and Selling Luxury Real Estate: Insights from America’s Top Luxury Agents hit Amazon’s Best Seller List soon after publication. I am one of ten authors that contributed to the book. 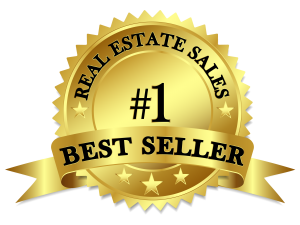 Amazon listed the book at Number 1 in the “Real Estate Sales” category. Amazon also listed the book as the Number 1 Hot New Release in multiple categories.The book provides insights to consumers who are interested in buying or selling a luxury residence. In my chapter, I reveal the most important considerations related to selling or buying a luxury home in Park City, Utah. 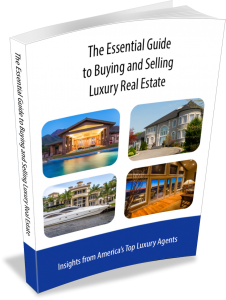 The Essential Guide to Buying and Selling Luxury Real Estate: Insights from America’s Top Luxury Agents is currently available in an eBook edition at Amazon. The paperback version will be available soon on Amazon and from other booksellers. Email me if you’d like to be notified when it’s released. 2. I was named for the second year in a row to the America’s Best Real Estate Professionals list from RealTrends. Less than 1% of all real estate agents in the United States make this list. To be included, agents must have closed at least 50 transactions or $20 million in closed sales volume in 2017. My sales volume in 2017 put me at #37 in the state of Utah. 3. I was interviewed on the “Selling the Dream” podcast. Selling the Dream is a podcast made by and for Second Home and Resort REALTORS. Tom Tezak, a luxury real estate agent based in Maui, Hawaii, interviews agents he considers “industry rockstars”. It was truly an honor to be interviewed by Tom. The show can be found on iTunes, Stitcher, Spotify, and Google Play. 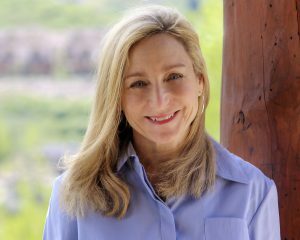 The episode was called Blog to the Top: Nancy Tallman Reveals the Secret to Her Success. I don’t like to toot my own horn, but I have had a lot going on and thought I’d share. I am always up for partnerships and opportunities, so feel free to reach out with any ideas you have. I’m so proud of you Nancy! You’re an excellent source of information and the best at what you do. Congratulations! Nancy! I am sooo happy for you and proud to call you my friend. I love that we met in the wee hours of the morning, with no one focused on career goals, but rather life goals. You work hard in everything you do and you deserve these accolades. I know you will continue to succeed in all areas of your life with your commitment to integrity. Congrats! !